Three cards in one week! Oh my! (LOL!! Vacation time!) 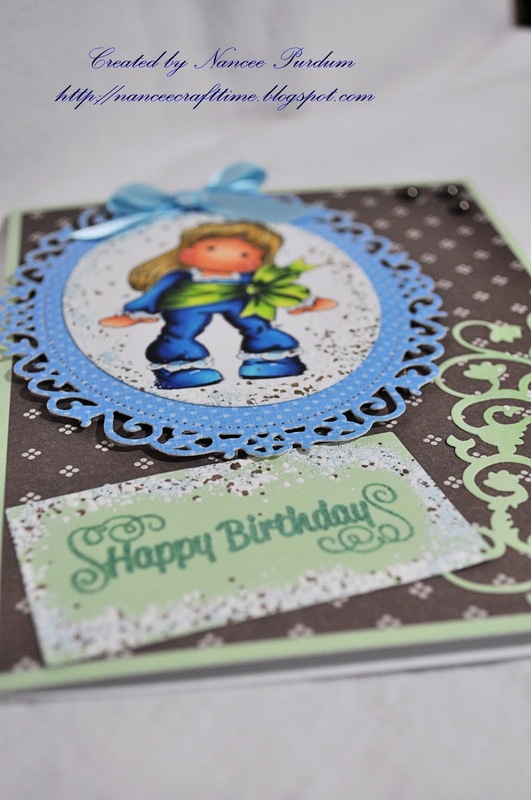 For this card I used Pink Ribbon Tilda. I wanted to try using Frantage as I had seen so many pretty cards using this technique………so, I tried it. I learned real quick to heat it from the bottom! LOL! 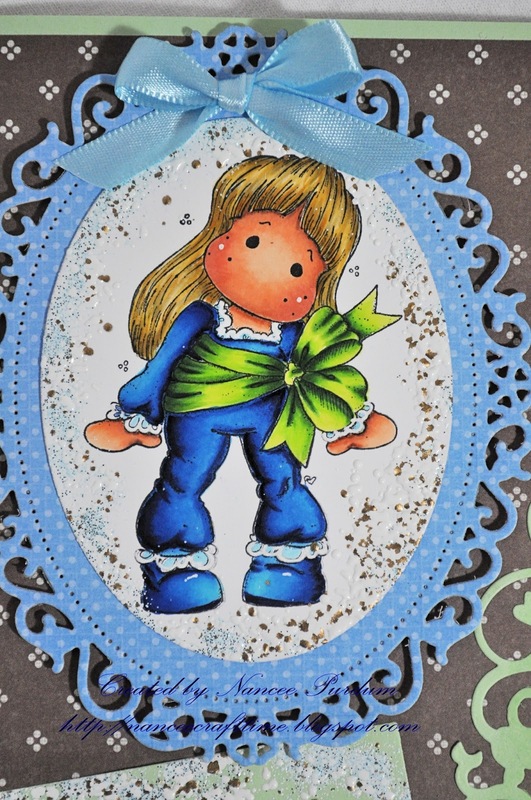 I colored Tilda with Copics and used a Spellbinders die to make a frame.. add Frantage around the frame. 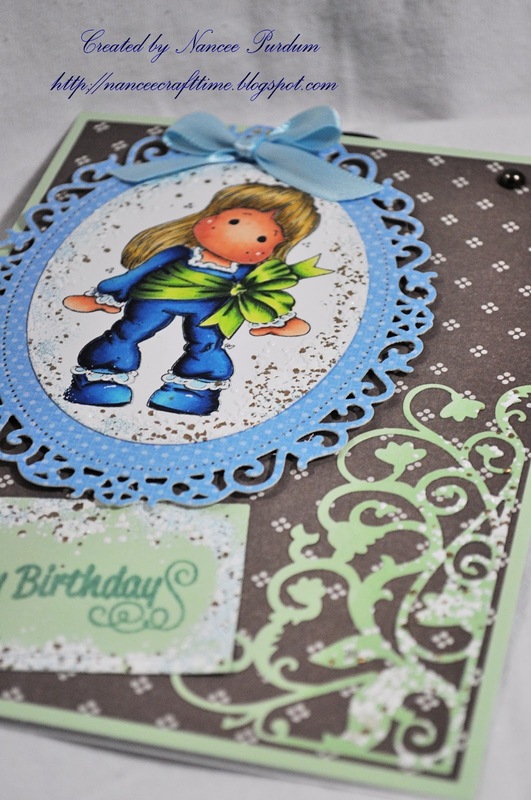 Ialso used a Spellbinders die for the corner as I thought I wanted something different. I also used the Frantage on it. The sentiment is one that I have had for a long time. I have listed the copics, dies, and paper I used at the bottom of my post for today. Gorgeous coloring!! I love her big green bow! 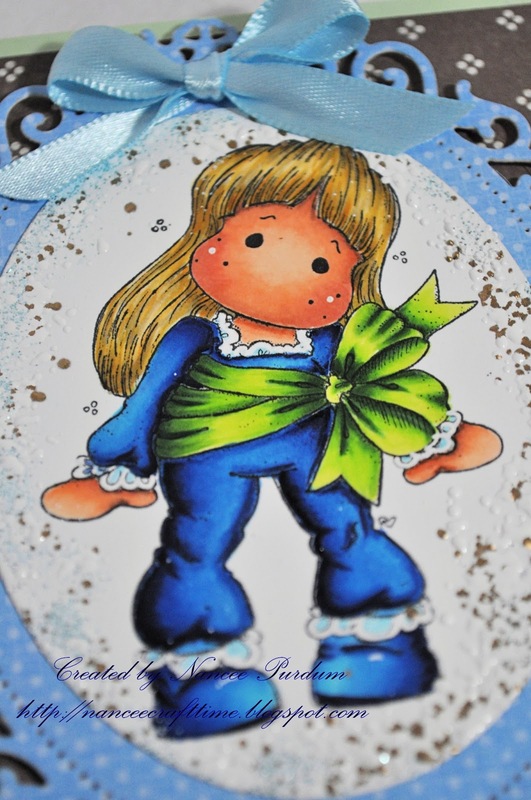 Beautiful card Nancee. So pretty and your Frantage is perfect!!!! Gorgeous card! Your coloring is fantastic. Wow, Nancee, gorgeous coloring! Tilda is such a beautiful blonde and love the blue and green together. Lovely Fran-tage touch sprinkled here and there. A great Birthday card. Enjoy your time off this week. I am on vacation next week with lots of time to spend in my craft room as well. Your card is just adorable. Your coloring is fantastic!! What a bright fun card. You did an amazing job on it. I love this card! Your coloring is beautiful and you used great colors. Nice frontage too! Another gorgeous creation! 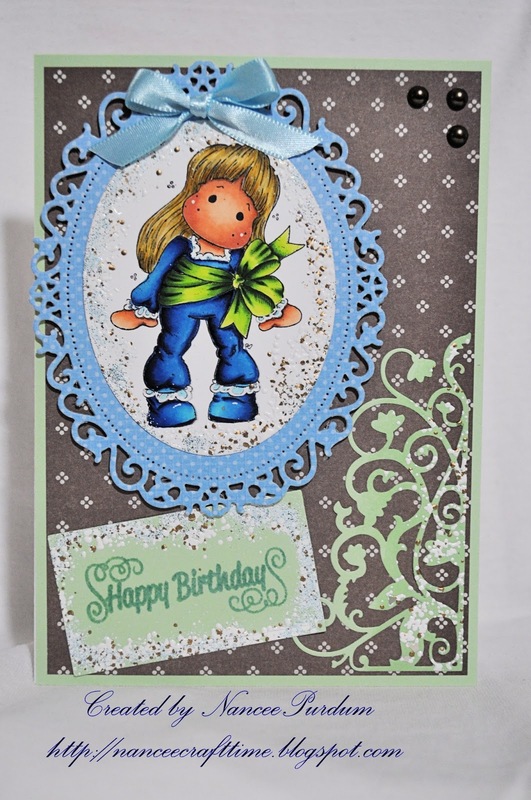 Beautiful coloring, and I love the deep, rich colors you've used! Very pretty!!! !